Last week we talked about how MACRA legislation is a game changer for how providers will be paid in the future for their Medicare patients. This week we will focus on the value and benefits of using care coordination software solutions to maximize MACRA payments and care delivery productivity. While some EMR software vendors will be able to support the need to capture and report quality metrics – support for care coordination – particularly for complex patients – will likely require separate care coordination software. 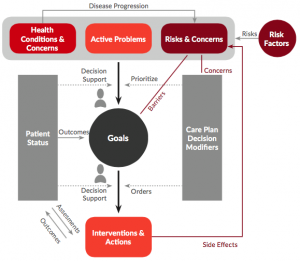 In selecting a care coordination software solution, we would like to point out two key considerations to keep in mind. First, there are benefits in selecting a solution that can scale to support the more advanced MACRA alternative payment models – even if a practice begins in the basic MERIT based payment model and transitions later to a more advanced model. Second, it is important to select a platform that can fully support the creation and management of robust longitudinal care plans as a foundation for maximizing patient outcomes that in turn should maximize MACRA payments to the practice. 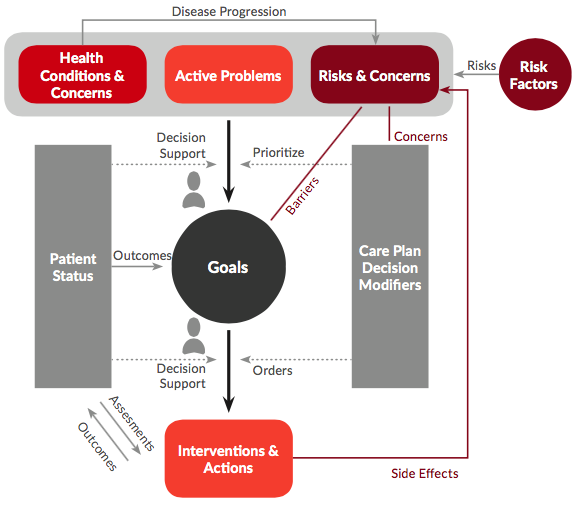 Source: Longitudinal Care Plans, Chilmark Research, Dec. 2015.
eTransX’s XCare Community system fully supports all eight core components out of the box today. The old adage of “pay me now or pay be later” applies as you evaluate and select your software application solutions for maximizing MACRA payments. By starting now with a robust care coordination software solution that will support your current and future MACRA deployment options can potentially save you significant money and time in the long run. For more information on the XCare Community system – contact Richard Taylor at 615 620 7524 or rtaylor@etransx.com. We are looking for MACRA care coordination software to use in stand alone health and wellness centers. Interested in learning more about your products.